Home » Should You Buy a 360 Camera in 2018? What’s up with 360 cameras these days? It seems like everybody and their Grandma are manufacturing 360 cameras. There are dozens of models available at varying degrees of affordability, but are they even useful for us “video hobbyists” who don’t shoot virtual reality stuff or real estate photography? Should you buy a 360 camera in 2018? Should you Buy a 360 Camera? As summer has officially begun its wind down, I’m left with gajillobytes of video footage from what I called my “Epic Summer of Awesome.” For the most part, I used my GoPro Hero5 Black, Karma Grip, and Hero 2018 to capture my trip to the GoPro Mountain Games and family trips to Gettysburg, PA and our camp in the Adirondack Mountains. But for our trip to Hidden Valley Animal Adventure Park in Varysburg, NY I changed things up a bit and brought along my Rylo 360 camera! 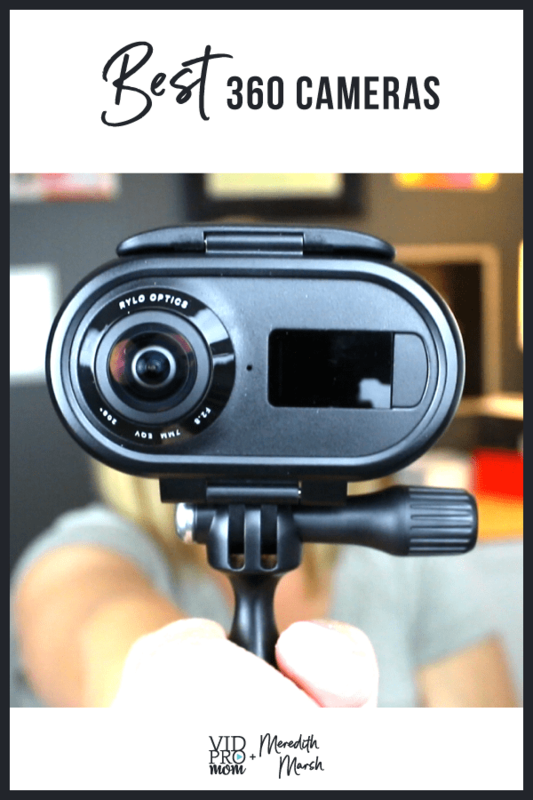 Rylo sent me their 360 Camera so I could get to know how it works and post a review on the VidProMom YouTube channel and here on my blog. This post is not a review (that’s coming soon! ), but by law, I have to tell you that Rylo did provide me with their 360 camera. 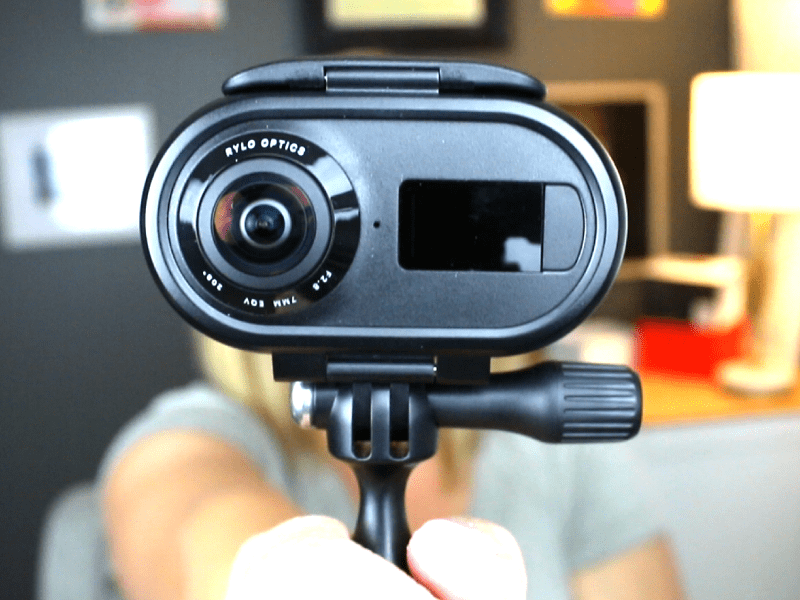 To get more acclimated and familiar with consumer level 360 cameras, I did a bunch of research (via YouTube reviews and articles) to see what’s up with 360 cameras and what all the hubbub is about. This video on the VidProMom YouTube channel along with this blog post kicks off a 360 Series. I will be posting my Rylo review, a Rylo tutorial, and perhaps a 360 video editing tutorial as well. Did you know…? You can subscribe to the VidProMom YouTube Channel so you can stay up to date with my new How-To Videos & Tutorials! Click here to subscribe now so we can stay in touch and you won’t miss out on anything! Well, that sounds like a really silly question, doesn’t it? “Everybody” knows a 360 camera is a device that captures an image (photo or video) 360 degrees around itself. Usually, a 360 camera has two very wide-angle lenses to achieve this. Imagine you are standing on the inside of a globe, and you can look up down, left, right, all around to get a whole experience. This video format can be used with Virtual Reality headsets, or for real estate listings (imagine looking around a whole entire room instead of just the crappy awkward angles that real estate agents take??). So why do you and I need one? Well, I’ll be honest with you. For a couple of years, 360 videos and 360 video cameras seemed gimmicky to me. I once borrowed a Ricoh Theta (like 2 years ago) from a friend, and eh?? I didn’t really see the point for everyday use. Editing 360 video was confusing and it all just seemed too cumbersome to be work the aggravation. It wasn’t until last year when GoPro released the Fusion, their 360 camera, that I could start to see this concept of shooting everything around you, all at once, and then later choosing what to have in the frame of your final video. Up until late last year, I had been thinking about 360 video all wrong… this is a completely new an different way to capture an experience and create a sharable video. But when I used the 360 camera from Rylo along with the Rylo app… the concept of 360 video and editing kinda blew my mind. Like I mentioned, I’m going to publish a Rylo review and tutorial later, so this post is not about the Rylo specifically. The reason why 360 video cameras and the apps that go along with them blow my mind right now is that the magic is in what you do AFTER you shoot 360 video. So if you’re considering should you buy a 360 camera, it’s more than just the camera to think about. You’re capturing EVERYTHING around the camera (up-down-left-right-all around) so you’re not moving the camera to make sure the good stuff is in the shot. There is no worry about keeping your kid in frame or losing an epic shot because your camera was angle slightly off. It’s after you shoot that you decide where the camera’s frame is. Pretty cool right!?! I feel like 360 cameras, gear, and 360 video editing is going to become more of a thing… the cameras out there right now are constantly getting updates to their firmware, and new camera models are released all the time! It’s like the golden age of 360 Video cameras right now. When it comes to the best 360 cameras on the market right now, there are a couple of factors you want to look at. There is a very wide range of pricing on these things right now, but you absolutely cannot compare them based on price alone. To compare 360 cameras, look at the camera specs like resolution and frame rate. Some 360 cameras shoot in 4K, others only in 1080. The Rylo shoots in 4K but your final edited video will only be 1080. Should you buy a 360 camera, you need to take these kinds of things into consideration!! The other thing to consider is what is available to you after you’ve shot your 360 videos. For example, GoPro and Rylo have fantastic apps that work seamlessly to help you take your footage and turn it into something watchable and shareable. GoPro also has desktop software that allows you to edit your 360 footage easily. Having only used the Rylo app, I can tell you it’s SO easy to use and very intuitive. So should you buy a 360 camera, you should first compare 360 camera ratings, be sure you’re comparing the ratings of their editing system as well. If you’ve had your eye on the 360 camera market lately and you’re wondering if they are worth it, I say yeah, what a fun new gadget!! Some of the best ones you’d want to look at right now are: the Rylo, the GoPro Fusion, the Samsung Gear 360, the Ricoh Theta V, the Garmin VIRB, the Insta360 One, and even Kodak is in on this game. Of those models mentioned, the Rylo is the only one I’ve used so I can’t vouch for any of the others. So there you have it! Should you buy a 360 camera?? In 2018 I say sure, but… I also think there is merit in waiting a little bit to see what 2019 and 2020 bring us because there are a lot of horses in this race. Hey, let me know down in the comments if you have a 360 camera already: what model do you own? How’s the app? Let me know YOUR review, which helps me make decisions about what I buy and create content around in the future. I LOVE LOVE LOVE my Rylo. Since buying it this summer I haven’t touched my GoPro’s. They’re not dead to me, but they’re close. Sure the Rylo hardware isn’t the best, but who cares, watching on a phone it’s fine. It’s so much better than the Fusion in terms of usability and editing with Rylos software. For the family man, weekend warrior, it’s perfect.